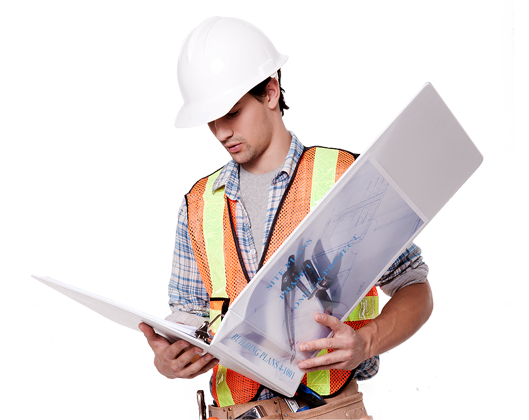 Creating one-of-a-kind inserts for the office or the job site has never been easier. 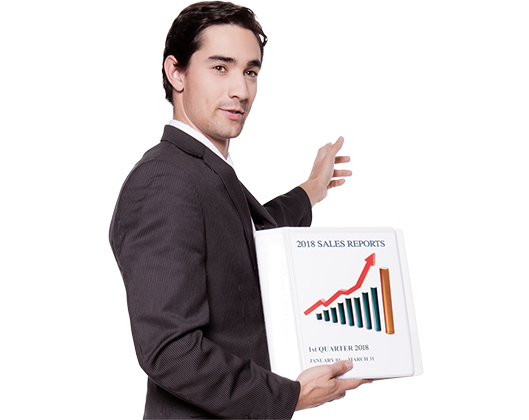 Just follow our three-step process. 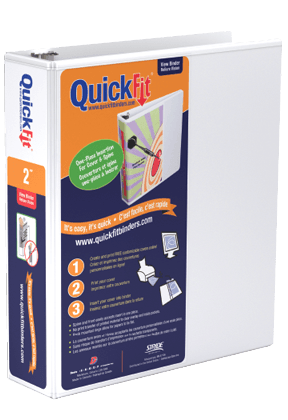 Select your QuickFit® product & customize your insert using the free online design app. 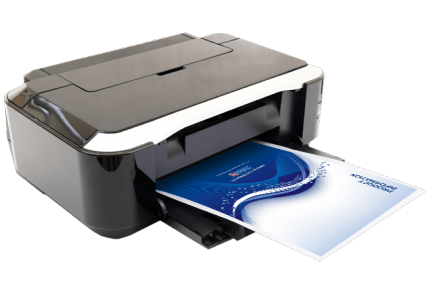 Print your customized insert right from your own computer. 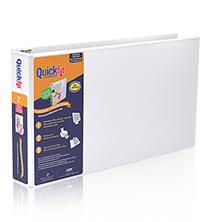 Effortlessly slide your insert into your QuickFit® binder cover. 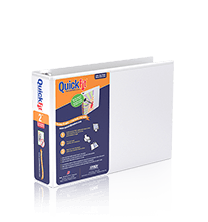 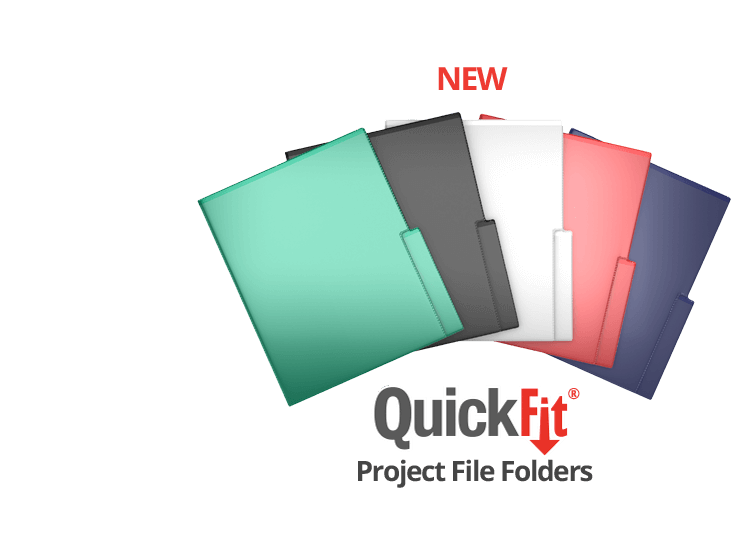 QuickFit® binders are available in a range of sizes and formats to accommodate the diverse needs of our customers. 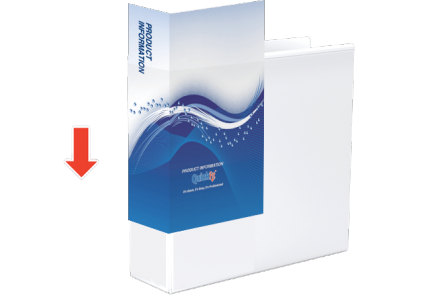 Every product features a unique open spine design, which makes it easy to create and insert a custom binder label with just a single sheet of paper. 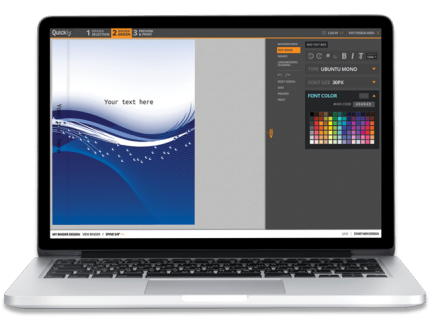 Wrapping from spine to front cover, the one-piece customizable binder insert creates a professional image and allows for easy identification on the shelf. 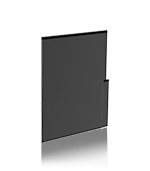 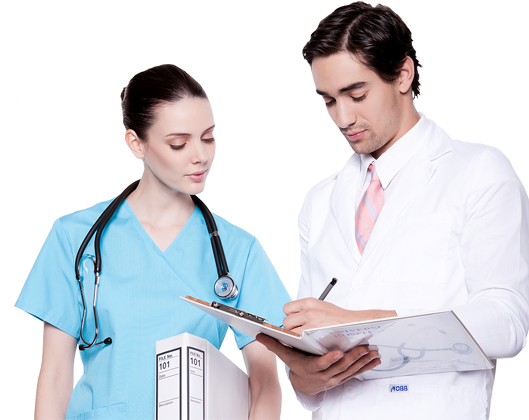 Our family of products includes view/presentation, spreadsheet, reference, file binders and padholders, and delivers advanced features such as anti-microbial material and back-mounted ring. 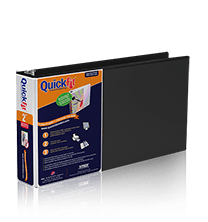 To give your binder a custom look, try the QuickFit® design interface with a wide variety of creative options.